Oh yeah! I’m not even exaggerating. 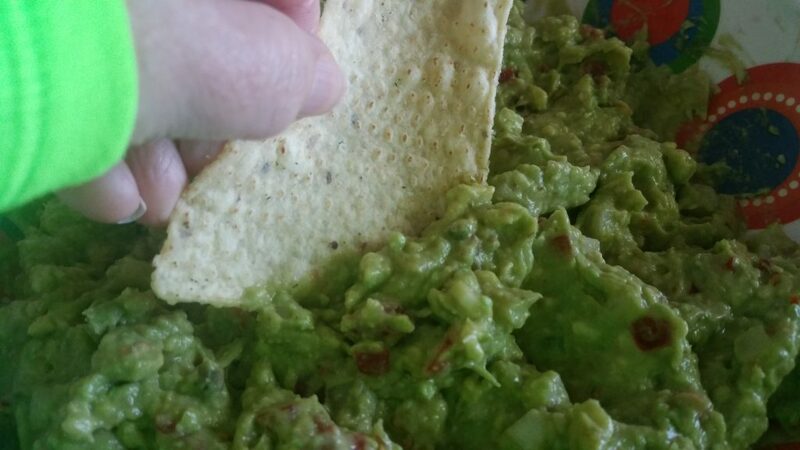 I’m am going to teach you how to make the World’s Greatest Guacamole. Everything I make somehow gets called my secret family recipe. 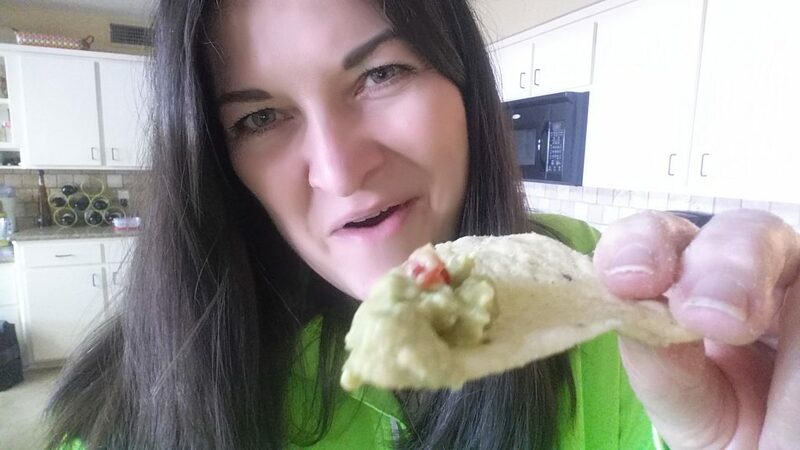 Since there are so many ways to make this delectable dish, I do have a few secrets I can share on why my guac is so tasty. Just follow these simple steps using these simple ingredients and get ready to WOW your friends and family. 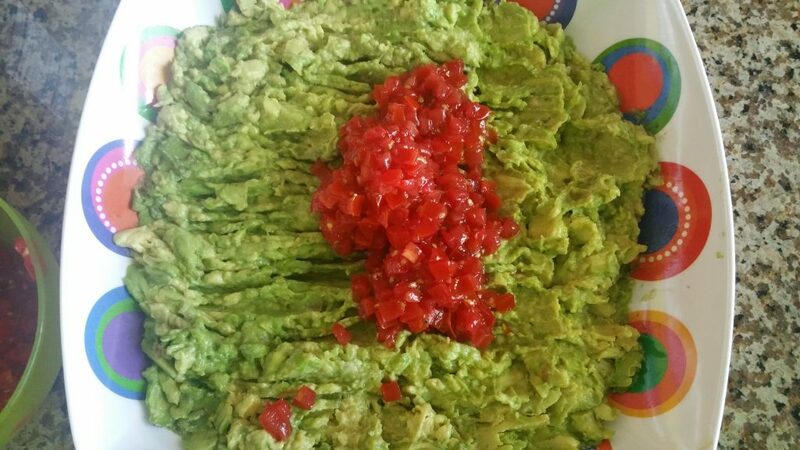 If you live in Texas, you have to learn to make a killer guacamole. It’s just what you do. But really, it doesn’t matter where you live, you need this, especially if you like Mexican food. You know, every guac maker has their own variation. Some add lime. 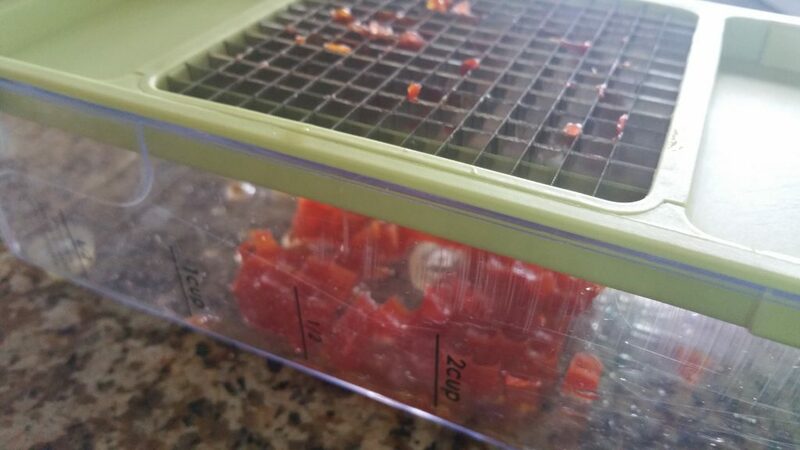 Some add jalapeno. Some add spices like cumin or smoked paprika. And more. Much, much more. 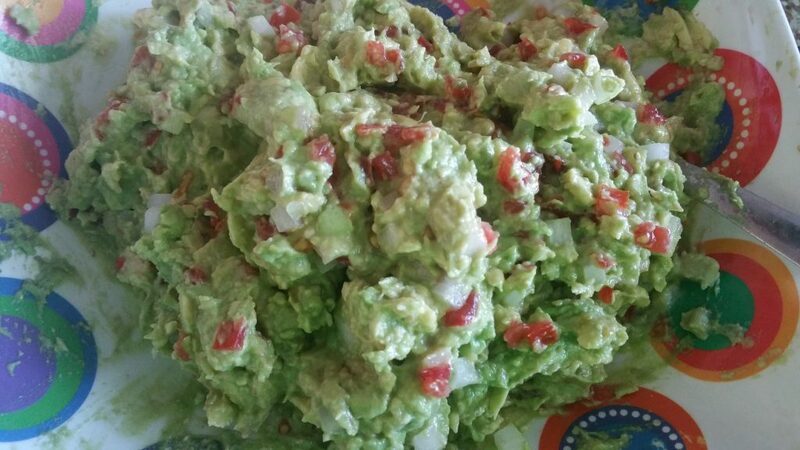 I’ve made it several ways but I’m going to share with you my favorite crowd-pleasing, kid-friendly, perfectly tame for those who don’t like food to set their mouth on fire guacamole. 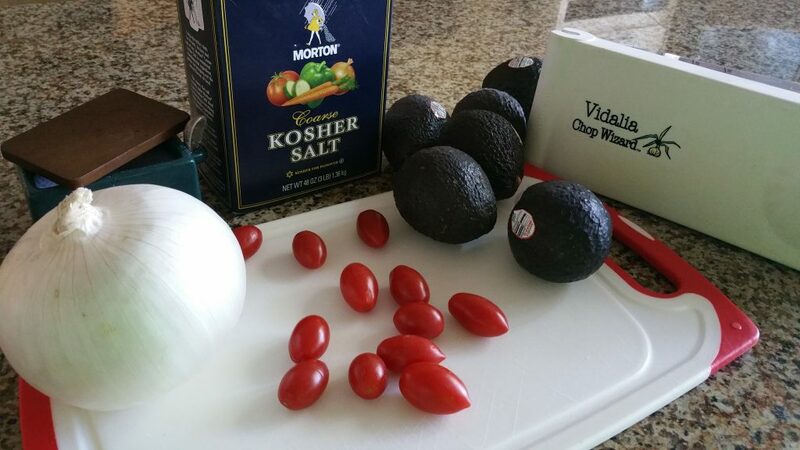 Here is everything you need to make the World’s Greatest Guacamole: avocados, white or yellow onion, tomatoes, kosher salt and a chopper (affiliate link) that chops into small cubes. And chips, of course. That’s it. You may have used these ingredients before but your guacamole was just OK.
Get ready to be shocked and amazed. You can use any kind of tomato that you happen to have on hand. I actually bought Roma tomatoes to use in this recipe but somehow they got eaten. Oh well, these little cherry tomatoes will work just fine. Prep tomatoes for the chopper. 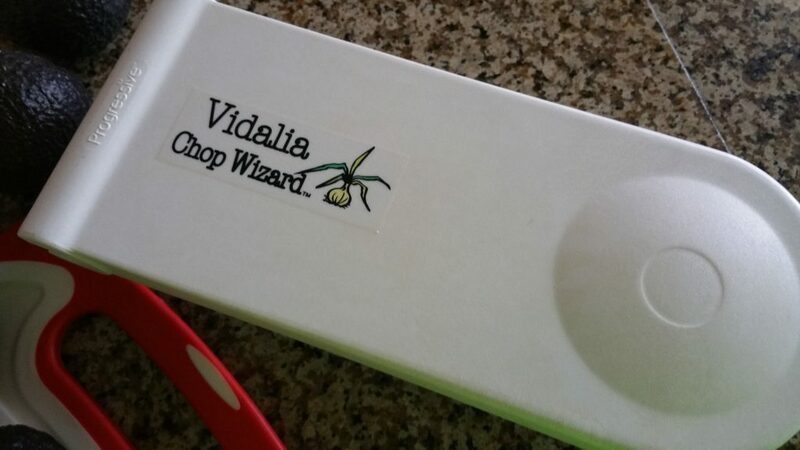 I know I introduced the Vidalia Chop Wizard in the first picture but I cannot tell you in a simple blog post, the love I have for this tool. It is the greatest invention for cutting up vegetables. I hate cutting up veggies. How I would wish for a Sous Chef long before I even knew what one was! I just wanted someone to cut vegetables up for me. I have zero knife skills. Now this beautiful chopper does it all. 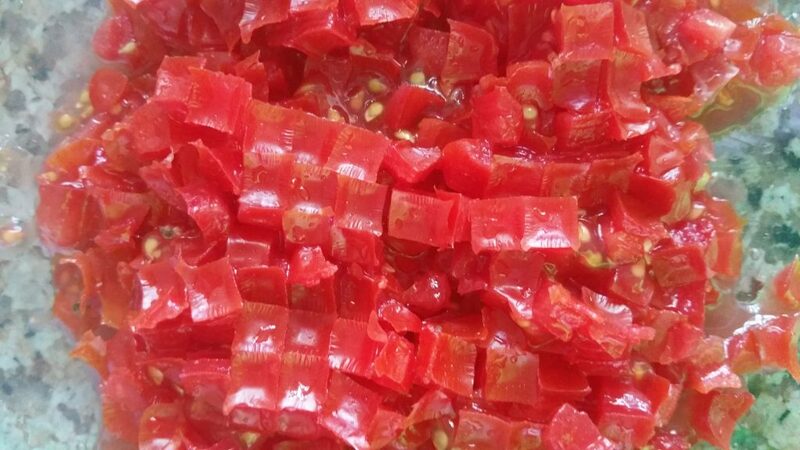 The reason it is one of the key secrets is that when both the tomatoes and onions are cut into tiny cubes, neither overpowers the guacamole. 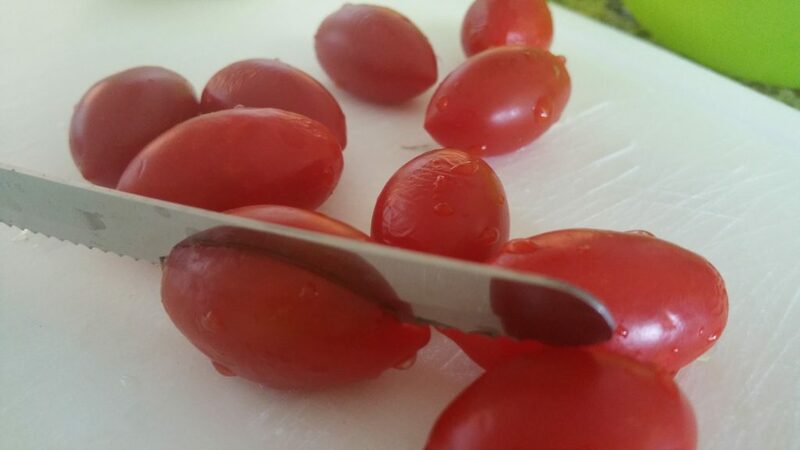 Just put the cut side down on the chopper, if using cherry tomatoes. 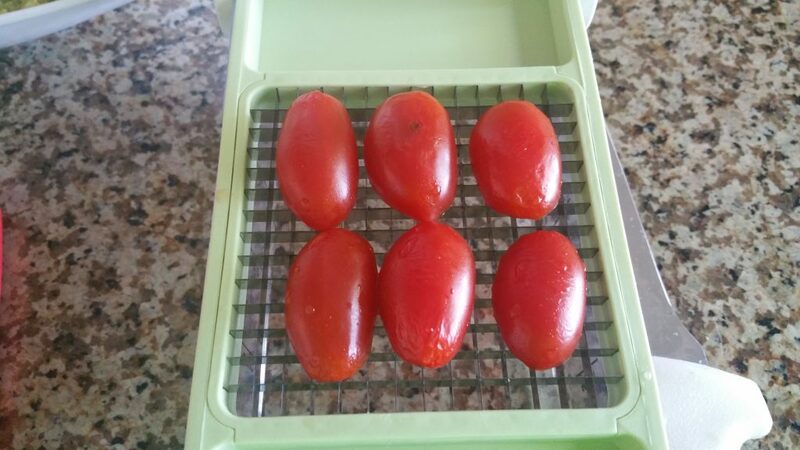 If you are using another type of tomato, cut into thin slices (1/4 inch) and put the slices down on the blades. Make sure and use the smallest size of the blade. Shove the top down on the tomatoes and watch the magic happen! 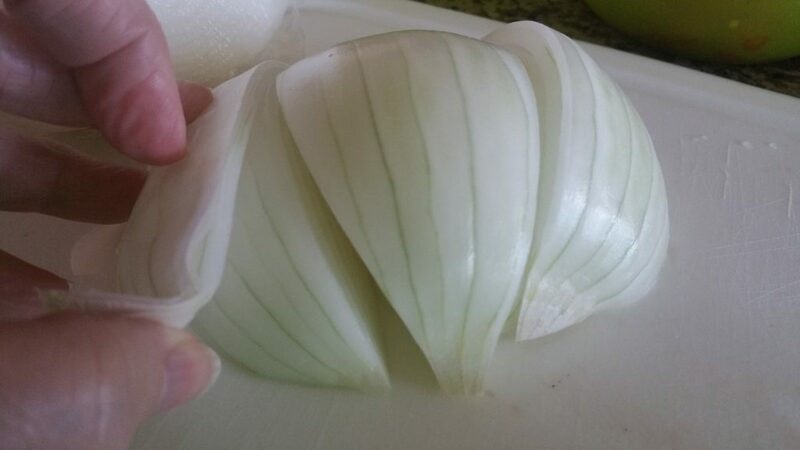 I cut the onion up like this and remove the outer layers that aren’t edible. 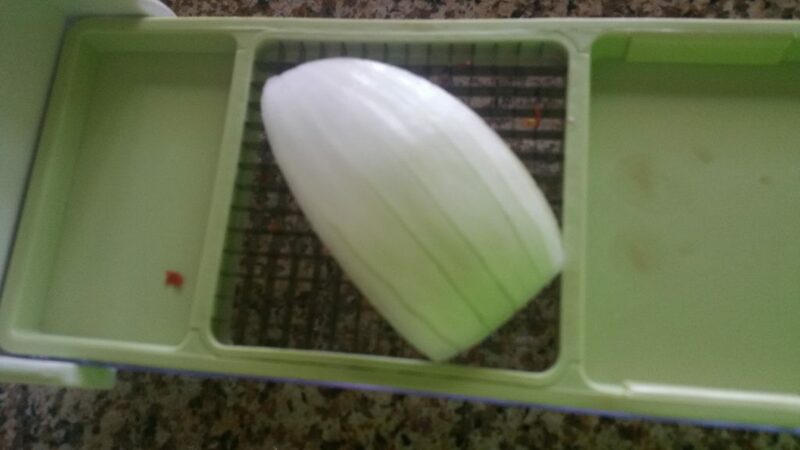 Put the onion like this on the blades to create cubes. Avocados don’t like air. Seriously, from the time they are cut open, they are susceptible to turning brown. After you cut them open, jam your knife into the seed and twist. Pops right out. I used about 4 avocados for this demo. It will vary depending on the size of your crowd. 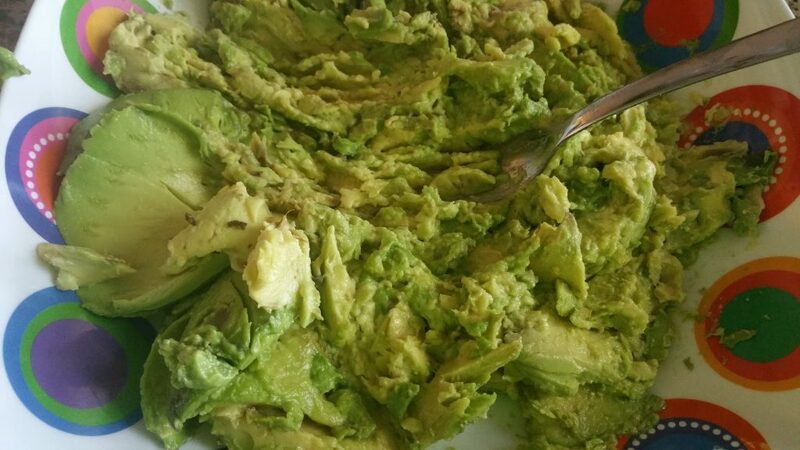 Smash the avocados with a fork to get rid of the large chunks. 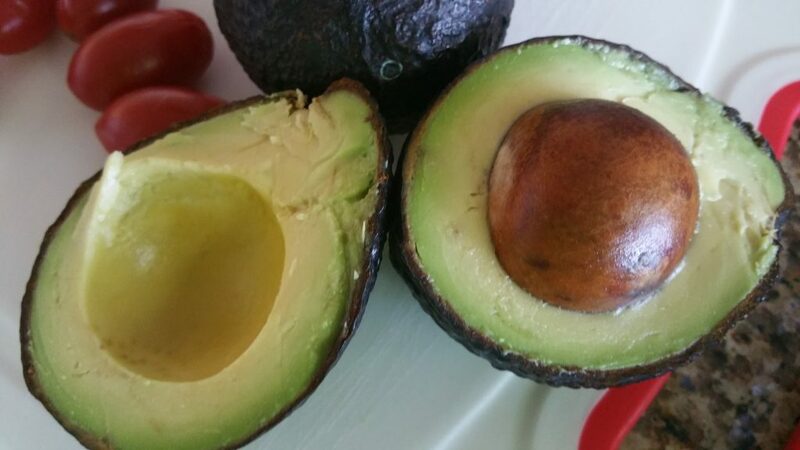 Secret #2 is to prep the avocado before adding anything. 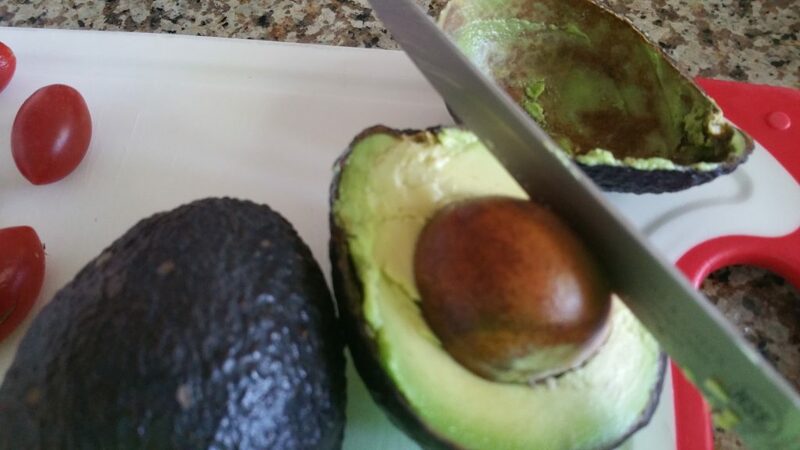 By prepping the avocado first, it is much easier to add the other ingredients later. That way you won’t over mix. Next, add the onion. Again, you can always add more later. Mix these three ingredients until well blended. Strange step, right? Smash the mixture around the bowl to make sure that the salt is added evenly. Don’t use just any salt. 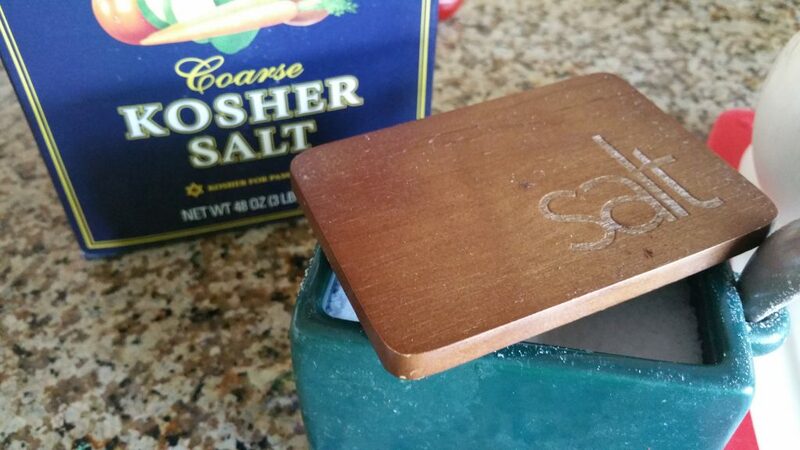 Kosher salt brings the flavor alive! And remember, like the other ingredients, start out stingy with the salt. You can always add more. Mix the salt into the guacamole. And now, it’s time to taste test. Oh yeah! The next secret to making the World’s Greatest Guacamole doesn’t have anything to do with making the guacamole but everything to do with how it tastes. It’s all about which chips to select: I use Tostitos Hint of Lime tortilla chips. This is my secret weapon that makes the guacamole taste so much better. 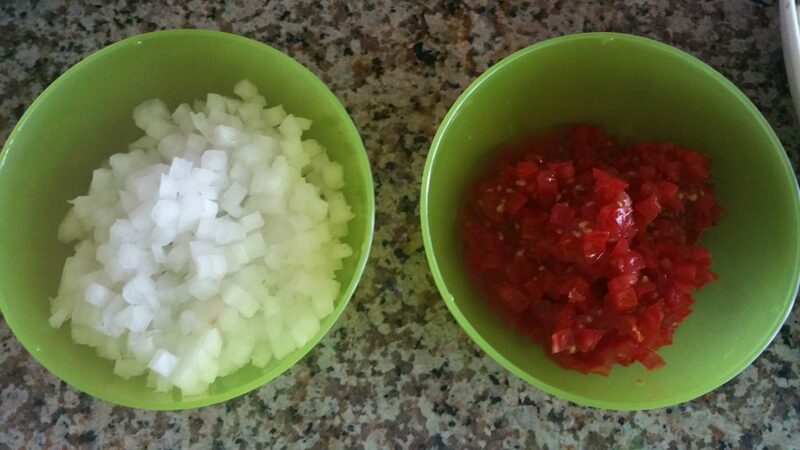 You can also use Julio’s or seasoned Santita’s or whatever seasoned tortilla chips you have in your area. Don’t use plain tortilla chips. 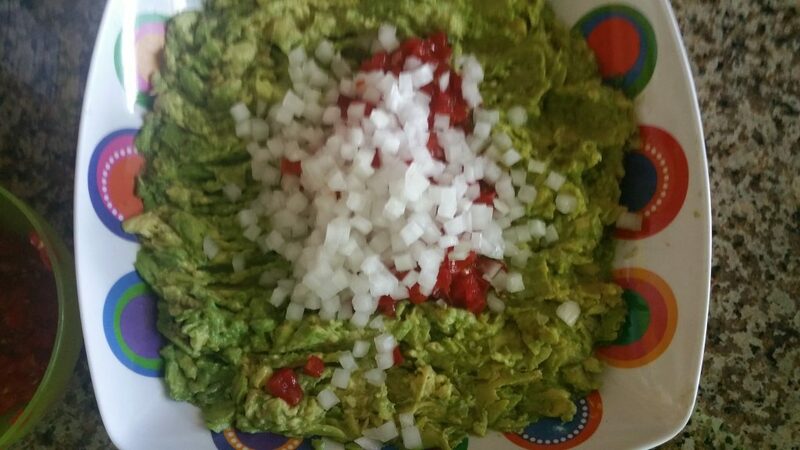 Make the guacamole the star by making the chips extra flavorful. 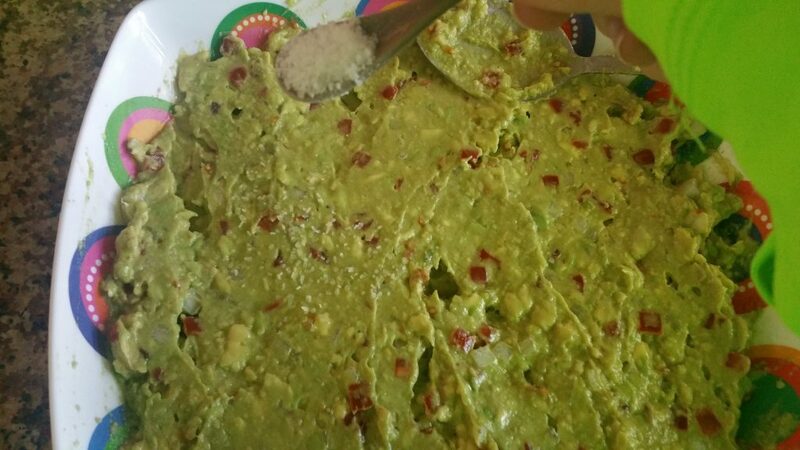 It’s also the reason that you don’t need to add a lot of spices or lime to the guacamole. Oh, I know you want a bite! Guacamole is best served immediately. But if that doesn’t work, you can freeze it to have later. Remember, avocados don’t like air. 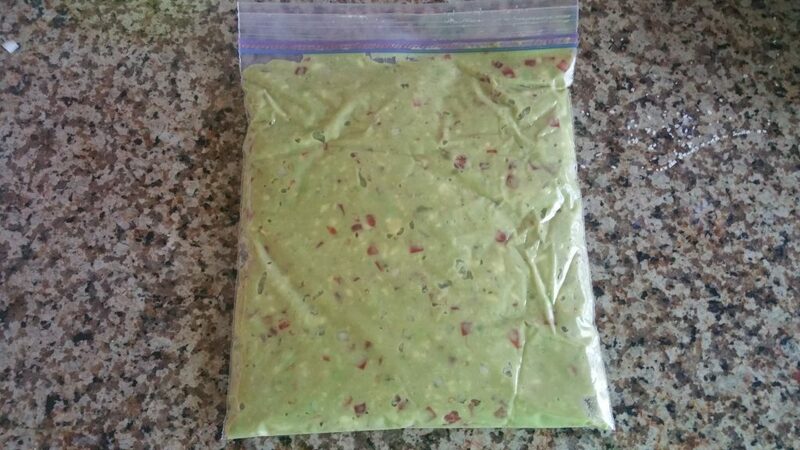 Spoon the guac into a ziplock bag and try to squeeze all the air out. Then, put in the freezer. So easy to have this when you are ready. AFTER, you try my recipe, here are some celebrity chef recipes you might want to experiment with. Chrissy Teigen has an interesting spin on her version. Continue to play around with it. 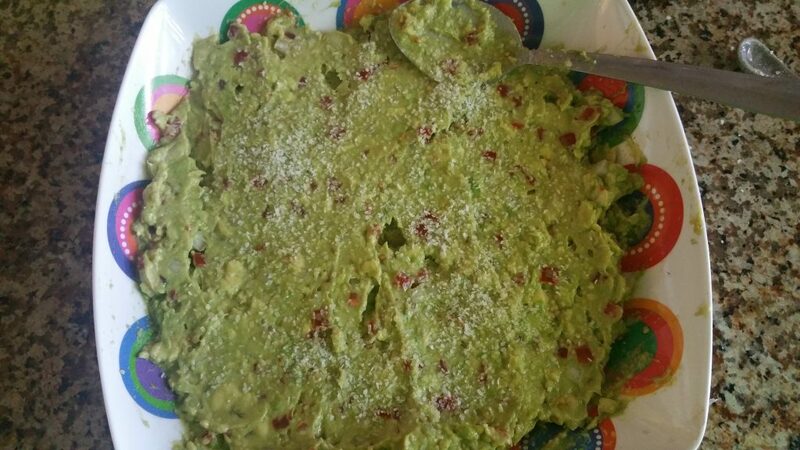 Even the very worst guacamole, will still taste pretty good. 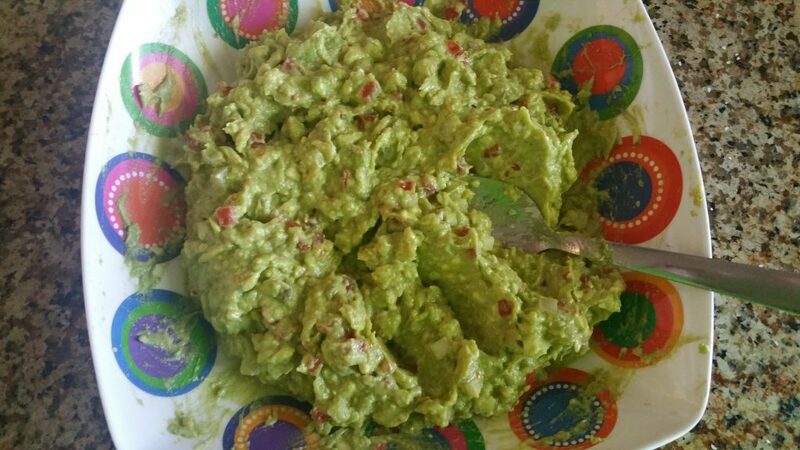 What is Your Crowd-Pleasing Way to Make Guacamole? 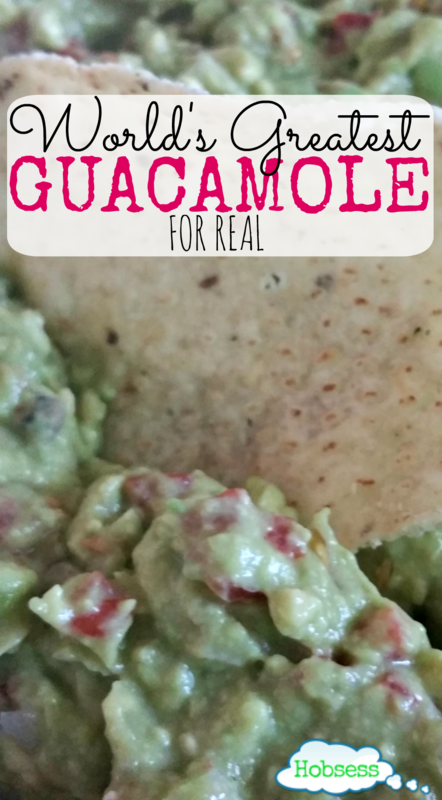 Since there are so many “World’s Greatest Guacamole” recipes, what is your secret? 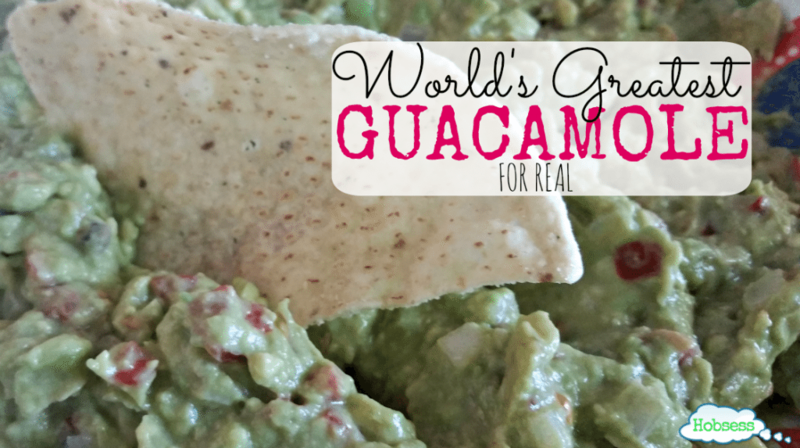 What do you add to your World’s Greatest Guacamole? Or are you ready to give this recipe a try? Looks yum! Any suggestions for those of us allergic to raw onions? Oh No! I couldn’t imagine being allergic to onions! I guess you could try jicama to give the same crunch. Good luck! Mmmmm, I’m from California. I can’t live without avocado. I like lime and cilantro in my guac. 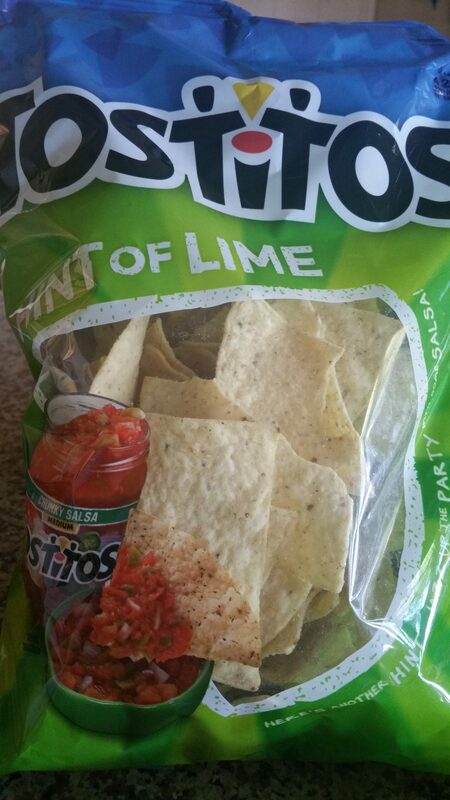 The lime flavored chips wouldn’t work for me because I don’t like flavored stuff. And no kids in my house, so we get jalapeño and garlic too. 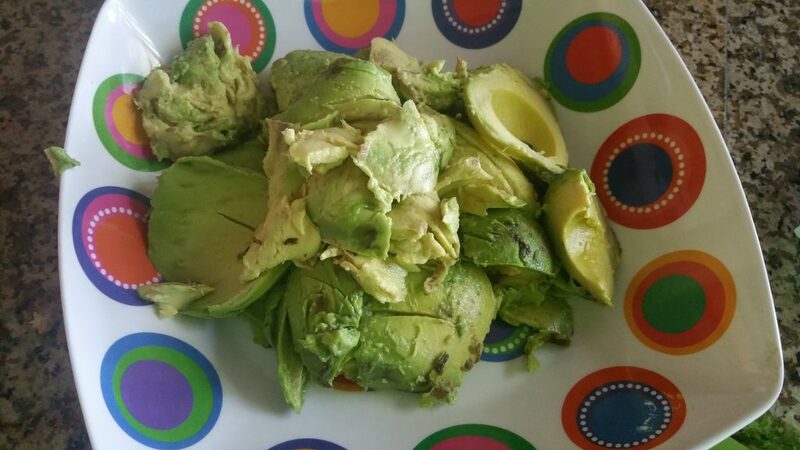 How fantastic to have such great access to avocados all year round! It’s fun to experiment with but this recipe seems to be a crowd-pleaser. Sounds like you found your favorite way to enjoy it. Cheers! Perfect post for today. Can’t wait to try it! Yes I want to taste!! So tempting! Never thought of Kosher Salt! Trying tonight.